The Bank of England has raised interest rates for the first time in a decade to head off rising inflation putting the squeeze on UK households. The central bank's Monetary Policy Committee voted 7-2 in favour of increasing the base rate from 0.25pc to 0.5pc. The minutes from the MPC's meeting indicated that the central bank is in "no hurry to raise interest rates again and that further increases will be limited", EY ITEM Club's chief economic advisor Howard Archer said. The pound plunged on currency markets as traders were disappointed by the MPC failing to specify a time frame for future rate rises with the Bank's policymakers saying that any more increases will be "at a gradual pace and to a limited extent". Sterling endured its worst day of trading against the euro since the aftermath of the EU referendum while against the dollar it nosedived 1.5pc to $1.3060 as hopes dwindled of further tightening soon. If the rate increase brings inflation, which hit 3pc in September, closer to the Bank's 2pc target, it should ease the pinch on household incomes caused by negative real wage growth as prices rise and wage growth struggles. Although the hike will also bring some relief to savers and push up borrowing costs, analysts expect the impact to be relatively limited. The pound is in a bad way on currency markets this afternoon in reaction to the Bank of England's cautious tone on further interest rate rises. Its slide has continued long after Mark Carney's press conference and sterling is now 1.5pc lower against the dollar at $1.3064 while against the euro it has nosedived 1.8pc to just above €1.12. Sterling is having its worst day of trading against the euro since the days shortly after the EU referendum when it was in freefall. Brexit talks are now one of the only upcoming catalysts which can reverse that momentum. It's only hours since we had the first interest rate hike in a decade but the markets will already be looking towards the next move at the Bank of England. The markets believe that the next time a hike is more likely than not is August 2018, according to Bloomberg data. But back to the present, let's get some more reaction to today's events. Mark Carney has lost his "unreliable boyfriend" reputation after the MPC finally pulled the trigger on interest rates but sterling may continue to struggle unless there are major positive developments in Brexit talks, OFX currency analyst Hamish Muress said. ING's foreign exchange strategist Viraj Patel commented that "policy tightening assumptions remain cautious due to what can be described as a ‘Brexit risk premium’". "The binary ‘Deal or No Deal’ Brexit risks makes it understandable as to why this may have been initially perceived as a one-and-done type of reaction – even though the Bank’s official guidance gave nothing to this sort. The Bank’s fairly laissez-faire forward guidance in fact retains an element of policy flexibility." Corporate tax is set to be dramatically slashed in the US, a long-awaited Republican Tax bill has revealed. 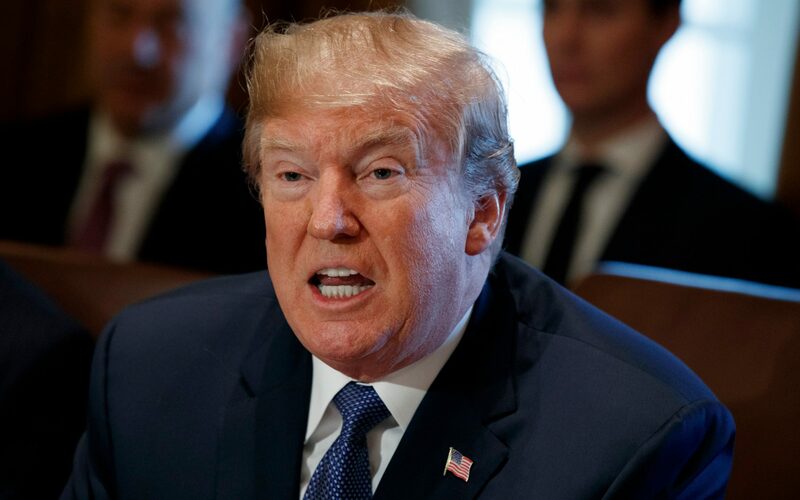 The bill - if passed into law - would cut the US corporate tax rate to 20pc, a massive fall from the present 35pc rate and one that is likely to be extremely well received by the business community. This is the first major reform of tax since the mid-1980s and brings the US below the 22.5pc average of the industrialised world. The changes for households were less extreme, but significant. It did not bring down the top rate for income tax, as some Republicans had hoped. The rate of nearly 40pc (39.6pc) is retained for top earners, but tax deduction for the middle classes has doubled. Now the dust is settling on today's rate hike, let's have a look at the big winners and losers from the Bank of England's decision. Savers - Savers are one of the obvious winners from today's increase and Mark Carney said that he expects banks to pass on the benefits. However, there is still a long way to go before savers can get their hands on pre-financial crisis level returns. Household incomes - The Bank of England raised interest rates today in attempt to bridge the gap between high inflation and sluggish wage growth. CPI hit 3pc in September, far above the central bank's 2pc target rate, and lagging wage growth has hit household incomes. If the rate increase helps bring inflation closer to the central bank's target, it should ease the double pinch of rising inflation and sluggish wage growth. Borrowers - Borrowing costs will increase as a result of today's decision, but, with interest rates still close to historic lows, the impact is expected to be relatively small. Sterling - Although increasing interest rates is normally supportive of a currency, the pound plunged today. The central bank's comments indicated to the markets that another interest rate rise is unlikely to come soon. Let's get some more reaction to today's landmark move at the Bank of England. ETX Capital analyst Neil Wilson commented that this was "about as dovish a hike as you get", adding that today's cautious tone indicates that future policy will be made on a "wait and see" basis. Berenberg's senior UK economist Kallum Pickering believes that the central bank's message that monetary policy will still provide significant support to jobs and activity is the key piece of policy guidance from today's events. "During the press conference Carney stressed on a number of occasions that the MPC’s decision to tighten was driven by medium-term inflation risks rather than the impact of near-term temporary factors i.e. the drop in sterling. "The two dissenting members judged that there was yet insufficient evidence that wage costs would pick up in line with the latest projections." The minutes from the Monetary Policy Committee's meeting indicates that the central bank is "in no hurry to raise interest rates again and that further increases will be limited", according to EY ITEM Club's chief economic advisor Howard Archer. Let's have a quick reminder of what happened today, courtesy of our economics correspondent Tim Wallace. The Bank of England has raised interest rates for the first time in more than a decade, in an effort to keep a lid on inflation. 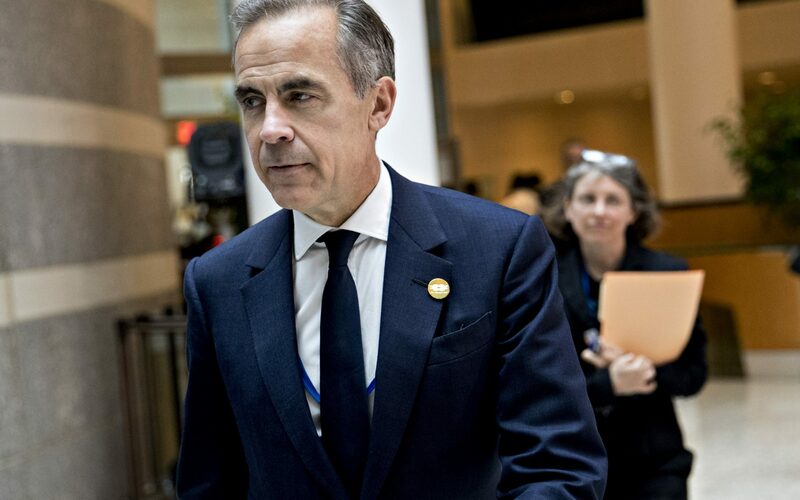 Governor Mark Carney voted to hike the base rate from 0.25pc to 0.5pc, in a significant signal that the policies of the financial crisis-era could be coming to an end. The economy is growing a little faster than the Bank previously expected. It has raised its forecast for 2017 from 1.3pc in August to 1.5pc now. GDP growth is set to rise to 1.7pc in 2018 - marginally weaker than previously hoped - and stay there into 2019 and 2020. Not all of the Governor's colleagues on the Monetary Policy Committee agreed that interest rates should rise, however. One of Mr Carney's deputy Governors, Sir Jon Cunliffe, voted to hold rates as did MPC newcomer Sir Dave Ramsden, who joined the Bank from the Treasury. That is in part because inflation so far has been driven upwards largely by the fall in the pound, and not by underlying factors in the UK economy domestically. By the tone of the Bank of England's statement and that press conference we could be waiting a while for our next interest rate hike. Maybe not a decade but it certainly doesn't sound round the corner. Let's have a look at the key takeaways from that press conference with Mark Carney and some of the central bank's policymakers. The pound has plunged 1.2pc against the dollar to just above $1.31 following Mr Carney's appearance. Mr Carney said we are easing our foot off the accelerator and the hike will have a more immediate impact on savers than borrowers. 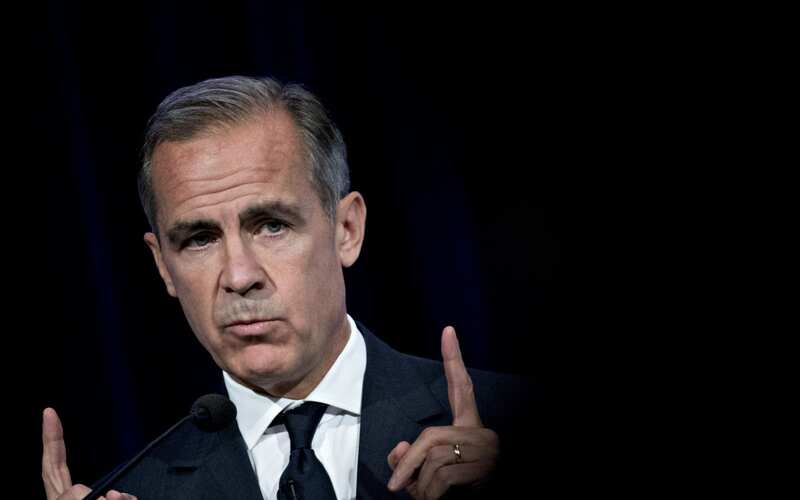 Nothing said in the press conference was enough to convince currency traders that another hike is forthcoming even though Mr Carney emphasised that inflation will still be above its inflation target in 2020 after two more hikes. The Bank of England believes that wage growth will pick up in 2018 alongside productivity. Mr Carney said that the pound's exchange rate did not influence the MPC's decision today. Our own Tim Wallace asks what can be done about poor productivity. Ben Broadbent says it's not an easy question to answer. He replies that it's too much of an ask to evaluate in real time and there is no evident policy switch that can help productivity. He compares it to the same issue during the Victorian era when the UK was switching from steam to electricity, adding that economic historians are still squabbling about the cause of that productivity crisis. Mr Carney says to another question that the pound's exchange rate did not influence the MPC's thinking today. Speaking of, sterling is currently 1.1pc down against the dollar at $1.3119 for the session. 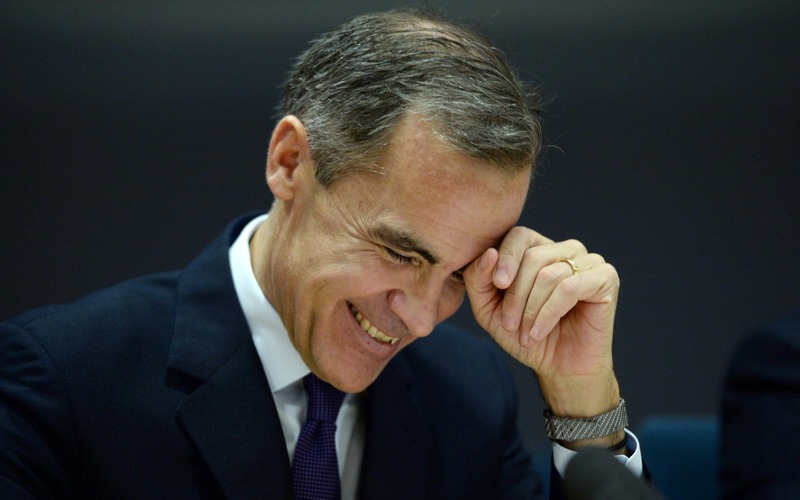 Mr Carney is asked why independent forecasters are more confident about the economy than the Bank of England? He replies that the central bank's role is about bringing inflation back to the 2pc target, adding that it will attempt to contribute to the success of Brexit. He defends the bank's stance, saying that we're running out of road on labour supply and its productivity forecast is not dissimilar to the OBR's. Ben Broadbent adds that the forecasts are not exaggeratedly low. When asked if this hike will end up being a mistake that the MPC will have to reverse. Ben Broadbent emphasises that before this period of ultra-low interest rates, they used to change approximately every four months. Why now rather than wait to see what might happen with the economy? Mr Carney says that there are limits to the MPC's tolerance on an overshoot in inflation and the economy has actually performed a little bit better than expected. The trade-off for not hiking had almost completely disappeared. Mr Carney says that wage growth will pick up in 2018 alongside an improvement in productivity and investment. The nature of jobs filling the labour market is that they are lower wage and lower skilled jobs. Deputy Governor Ben Broadbent emphasises that lagging wage growth is a product of poor productivity. The MPC does believe that there should be some kind of Philips Curve effect on wage growth, he adds. Is the MPC's decision part of the global trend of tightening monetary policy? The tightening monetary policy trend is not surprising given the booming global economy, Mr Carney says. The UK is "participating a little less in this global upswing", however, he adds. This is because of idiosyncratic problems (i.e. high inflation) and the fact that the UK recovered a little earlier than other parts of the world, he explains. Inflation will still be above target in 2020 even with two hikes, says Mr Carney. That lifts the pound slightly to a 1.1pc fall against the dollar to $1.3110 but the markets have undoubtedly taken this decision as a dovish signal from the MPC. The Q&A has just started. Mr Carney says that the rate of growth is lower than historic norms but not subdued. He emphasises that the labour market is strong and that the degree of spare capacity in the economy is very limited. Mr Carney says we are easing our foot off the accelerator and the hike will have a more immediate impact on savers than borrowers. Monetary policy is still very supportive of the economy, he adds. Deputy governor Dave Ramsden dodges a question on why he voted against a rise. He will have ample opportunity to explain his decision in the future, he says. Mark Carney's press conference is starting. He says that the sheer novelty of the first interest rate hike in a decade creates some uncertainty around its impact but there is no reason to think that its impact will be any larger than usual. Mr Carney adds that households are well-positioned for the hike and that the MPC will adopt its strategy to the economic conditions. Mark Carney's press conference has just started so let's have a very quick look at the snap reaction to today's vote. Capital Economics described the MPC's decision as a "dovish hike", explaining that the overall tone of the summary, minutes and Inflation Report was "fairly dovish" despite the hawkish vote split. The inflation forecast is also a bit of a killer for those wanting higher rates, according to its UK economist Paul Hollingsworth. "Admittedly, it did not suggest that this is merely a “one and done”. However, the fact that inflation is expected to be only just above the MPC’s target at the end of the three-year forecast horizon seems to endorse the markets view that there will be only another two hikes over the same period." 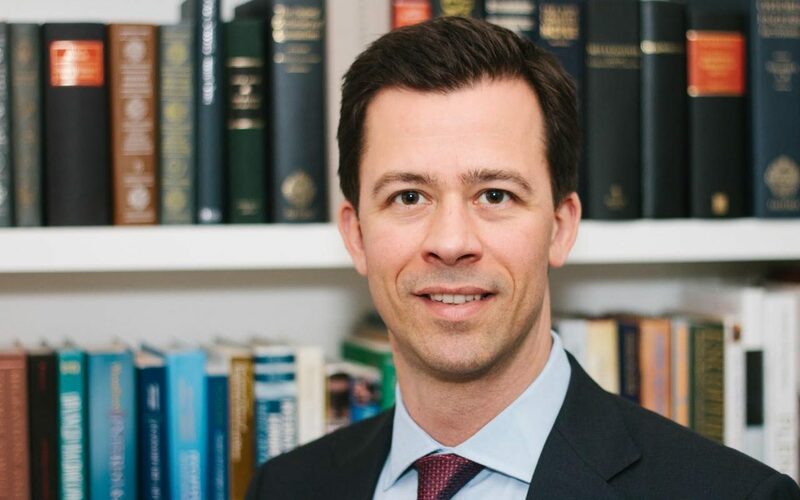 Today's hike will have a limited effect on the real economy, according to Anthony Doyle, fixed interest investment director at M&G Investments. "Monetary policy remains highly accommodative, real interest rates are negative, and the Bank’s balance sheet remains large. "In hiking rates, the MPC has fired a warning shot across the bow of consumers, who have battled low wage growth and high inflation by cutting savings and borrowing more." The pound has plunged on the currency markets in reaction to the Bank of England's release, dropping 0.9pc against the dollar down to $1.3138. That 7-2 vote split does appear hawkish and thus should be supportive of the pound but the commentary in the accompanying statement from the central bank is what has spooked traders. In the MPC’s central forecast, conditioned on the gently rising path of Bank Rate implied by current market yields, GDP grows modestly over the next few years at a pace just above its reduced rate of potential. In line with the framework set out at the time of the referendum, the MPC now judges it appropriate to tighten modestly the stance of monetary policy in order to return inflation sustainably to the target. Monetary policy continues to provide significant support to jobs and activity in the current exceptional circumstances. All members agree that any future increases in Bank Rate would be expected to be at a gradual pace and to a limited extent. Bank has growth at 1.6%/1.7% for the next few years and believes that is "just above potential". Our economics correspondent Tim Wallace is at the Bank of England today and has sent over his first report on today's hike. 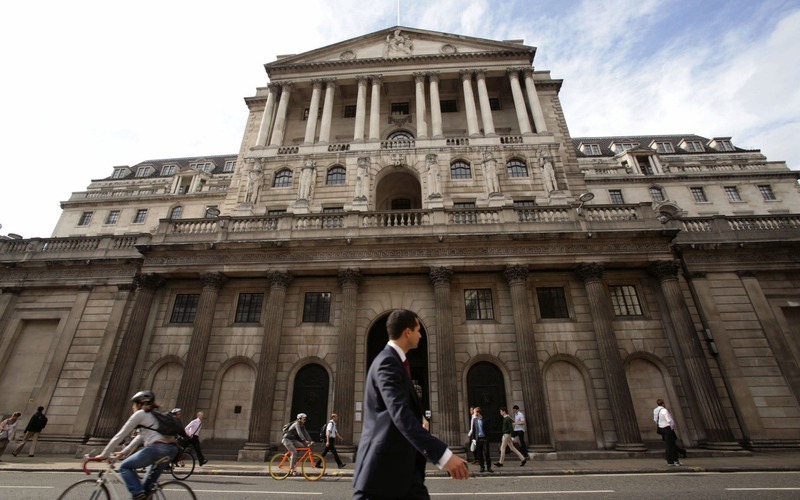 The Bank of England has voted to hike interest rates for the first time in more than a decade. The base rate is rising from 0.25pc to 0.5pc. Mark Carney and six other members of the Monetary Policy Committee voted for the hike, but two members voted to keep rates on hold. The MPC said it has to raise rates to keep inflation in check. With the rate hike inflation should come back down to 2.1pc. Without it, the central forecast is that inflation would stay higher at 2.5pc - above the Bank's 2pc target. Currently markets expect the Bank of England to raise rates to 1pc by the end of 2020, indicating two more 0.25pc rate hikes like today's over the next three years. The MPC minutes said: "All members agreed any future increases in Bank Rate would be expected to be at a gradual pace and to a limited extent." The Bank of England has hiked interest rates for the first time in a decade to constrain high inflation squeezing household incomes. The central bank's Monetary Policy Committee voted 7-2 in favour of an increase in the base rate from 0.25pc to 0.5pc with the pound sinking on currency markets in reaction to the release. Will the MPC finally pull the trigger on interest rates? Having bluffed the markets in the past with the promise of an interest rate rise, will the Bank of England finally pull the trigger? Is this the start of a more traditional hiking cycle or just a one-off correction from last year's rate cut? What will the split in the vote signal? What tone will Mark Carney strike on future policy? We'll find out soon. The Bank of England's decision is due at the top of the hour. The Bank of England is expected to increase its base rate from 0.25pc to 0.5pc today in order to curb the effects of high inflation squeezing UK households. A hike is considered almost a done deal with the markets pricing in a 90.6pc probability of an interest rate increase at today's Monetary Policy Committee meeting. The pound's performance today will largely depend on the split in the nine-strong MPC's vote and the tone of Mark Carney's press conference afterwards. A hawkish split in the vote - 9-0, 8-1 or 7-2 in favour of a hike - could signal to currency traders that the Bank of England will look to tighten policy further next year but a narrower vote would suggest that today's hike is a correction of last year's emergency rate cut to 0.25pc in the aftermath of the EU referendum. We're under an hour away from the Bank of England's decision so let's have a look at what the experts are saying ahead of the release. RBC Global Asset Management chief economist Eric Lascalles points out that so much of the high inflation is due to the weak pound that today's expected hike does not provide a clear hawkish signal for monetary policy. "The British economy is beginning to spin its wheels – not the obvious condition for significant tightening. "But this moment in time also needs to be viewed as an opportunity to take the policy rate off the floor without incurring too much punishment in currency markets given the fact that other central banks are also edging their way higher." "If the Bank defies market expectations and doesn’t vote for a rate rise, the most likely cause is Britain’s weak outlook for pay. "With nominal earnings growing by just 2.1% in the three months to August – less than half the pre-crisis level of wage growth – and real earnings growth falling throughout 2017, MPC members may conclude that the real economy outlook is not right for a rate rise." I realise that the intricacies of central banks and interest rates wouldn't be everyone's chosen Mastermind subject but they can have a big impact on your wallet. I'll do quick explainers on some of the terms and ideas that will be important throughout the day, starting with the battle at the bank between the hawks and the doves. A dove is a central banker who will prioritise economic growth and low unemployment and is open to using looser monetary policy, including low interest rates and quantitative easing. The doves have been in firm control of the Bank of England since the financial crisis but it appears that a shift in thinking may have occurred. A monetary policy hawk will prioritise keeping a lid on inflation by maintaining tighter monetary policy. 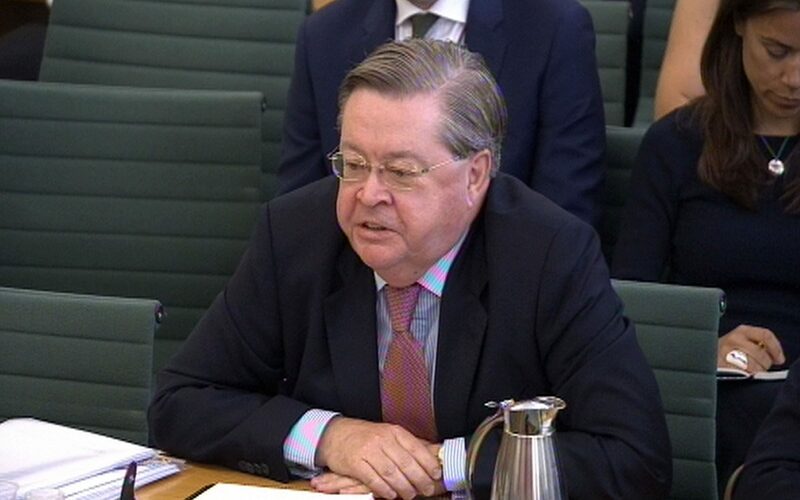 At the Bank of England, policymakers Ian McCafferty and Michael Saunders are the most hawkish members of the Monetary Policy Committee and have already vote in favour of an interest rate rise. Arch dove and BoE policymaker Gertjan Vlieghe sent the pound soaring when he came out in support of the MPC's strong hint that it will raise rates if the economy continued to perform as expected. His support gave credence to the idea that the dovish-leaning MPC could vote for a hike. What could propel or sink the pound today is the split in the vote in the nine-strong Monetary Policy Committee. An interest rate hike is so expected that it is almost completely priced into the pound. A hawkish hike with the committee split 9-0, 8-1 or 7-2 would signal to traders that another rate hike might come sooner rather than later while a tighter dovish vote would indicate that this will not be the start of a more traditional hiking cycle at the central bank. A hawkish split could send the pound above $1.37 against the dollar but a dovish one could see it retreat back to $1.30, according to ETX analyst Neil Wilson. "With a hike expected, for sterling a lot rests on the language contained in the meeting minutes as well as the inflation report projections for a handle on the path of monetary policy. In September, the MPC said that ‘monetary policy could need to be tightened by a somewhat greater extent over the forecast period than current market expectations’. "Have markets now accounted for this and caught up with where the MPC is? If this is left in after a hike, it would be taken as a hawkish signal for further tightening in 2018. Another key passage that markets saw as hawkish revealed that a majority of policymakers thought ‘some withdrawal of monetary stimulus was likely to be appropriate over the coming months’." It appears the headline figure in this morning's construction PMI survey masks how poorly the sector is doing. The housing activity index climbed to 53.5 in October but the commercial and civil engineering sectors are still in contraction territory. Pantheon Macro's UK economist Samuel Tombs explained that the two lagging sectors "likely will remain underwater" until "decisive progress is made in Brexit negotiations". "Confidence in the outlook for the next 12 months, however, deteriorated sharply in October, and to its lowest level since December 2012. As a result, the most intense phase of the downturn in the construction sector might still lie ahead." The construction sector rebounded back into expansion in October but optimism fell to its lowest in almost five years, IHS Markit's construction PMI survey showed. IHS Markit said that construction companies said that business conditions still remained subdued during October despite the reading rebounding from 48.1 to 50.8 last month (any reading above 50 indicates growth). 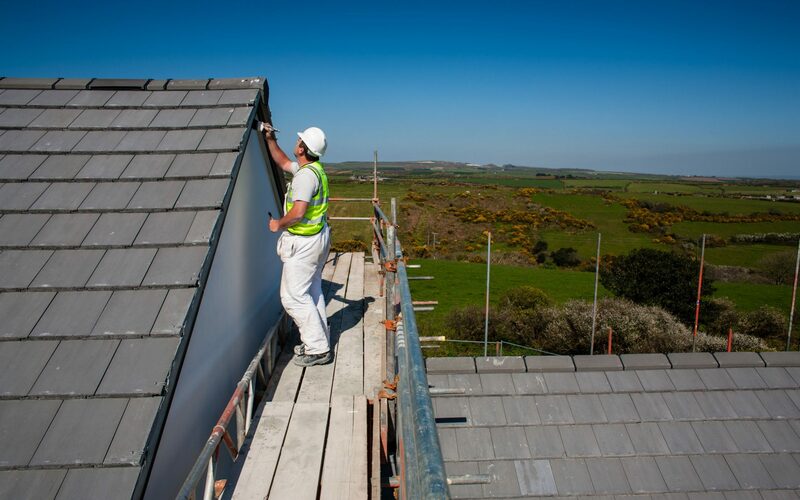 IHS Markit's associate director Tim Moore said that increased house building was the "sole bright spot in an otherwise difficult month" and that sustained declines in civil engineering and commercial activity were still proving a drag on the sector. Just to avert your gaze from Threadneedle Street momentarily, let's have a quick look at what happened to stocks in London when markets opened this morning. The FTSE 100 has nudged down into the red with precious metal producer Randgold Resources plunging 5.8pc after its earnings missed analysts' estimates. 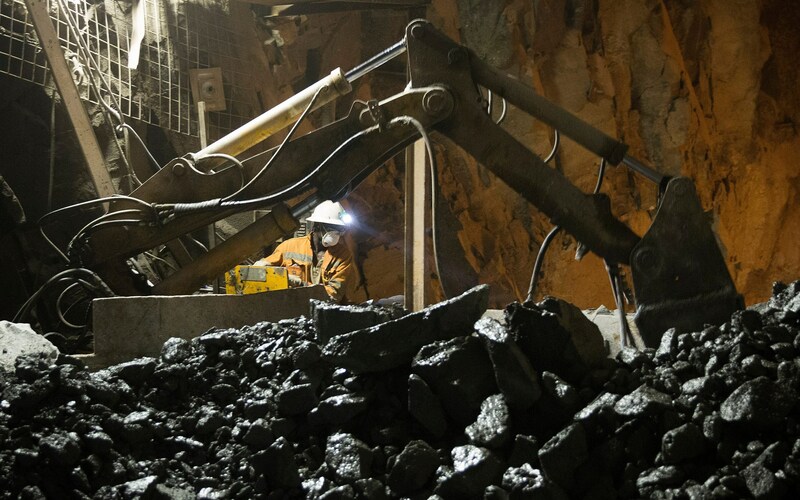 Sticking in the mining sector, mid-cap miner Acacia Mining has dipped 2.5pc after its chief executive and finance director have quit amid its bitter dispute with the Tanzanian government. Elsewhere in the FTSE 250, gaming software developer has nosedived 22pc after it admitted that its full-year profit will miss expectations. The last time the Bank of England hiked interest rates in July 2007 Gordon Brown had been prime minister for less than a month, Rihanna was top of the charts with Umbrella and the final Harry Potter book was weeks away from release. The depth of the financial crisis forced the central bank to cut rates to historic lows and the base rate has been at 0.5pc or lower since March 2009. That hasn't been the only lever policymakers have pulled to drag economic growth higher, of course. Quantitative easing has also been a key weapon in the central bank's armory but cutting interest rates by another 25 basis points was the Monetary Policy Committee's trusted sword last August to help the UK economy ride out any Brexit uncertainty headwinds. The Bank of England's Monetary Policy Committee is expected to vote in favour of the first interest rate rise in a decade today to help curb high inflation squeezing UK households' incomes. Mark Carney and the nine-strong committee surprised the markets in September by unexpectedly mooting the idea of a rise in the central bank's base rate from 0.25pc to 0.5pc before the end of the year and markets will be looking for hints over whether the hike marks a major shift in policy or is just a correction of last year's emergency rate cut shortly after the EU referendum. Ahead of the decision due at 12pm, the pound is broadly flat on currency markets, holding firm at $1.3263 against the dollar and nudging down to just below €1.14 against the euro. There is one final economic indicator before the announcement in the form of IHS Markit's construction PMI survey (due at 9.30am). According to the closely-watched survey, the UK's construction sector, which is far smaller than the manufacturing and services sectors, entered contraction territory in September and today's reading is expected to show that it will continue to shrink albeit at a slower pace.